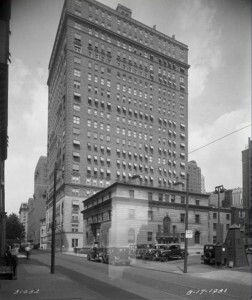 The Barclay Hotel, shown here from the corner of Eighteenth Street and Rittenhouse Square in 1931, was where three Philadelphia City Council members—Council President George X. Schwartz, Harry P. Jannotti, and Louis C. Johanson, all Democrats—accepted a total of $65,000 in bribes during separate meetings in 1980. All three were convicted of extortion and conspiracy on May 23, 1980. The Abscam investigation later came under criticism for excess involvement by government agents seeking to push bribes on public officials. Schwartz and Jannotti were initially convicted of the charges against them, but the District Court agreed with their assertion that they were entrapped and overturned their convictions. The Appellate Court later reversed the District Court's decision and reinstated the verdicts. The case finally reached the Supreme Court in mid-1982, and in the first high court ruling on Abscam, the court concurred with the Appellate Court's findings and let the convictions stand. 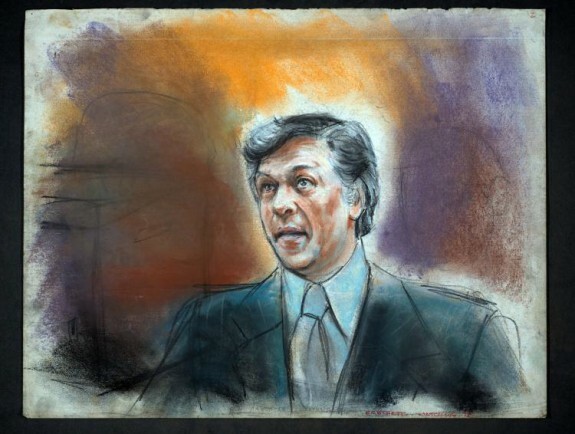 Camden Mayor Angelo Errichetti, shown here in a courtroom sketch from 1982, also served as a New Jersey state senator and was a mover and shaker in New Jersey Democratic political circles. Errichetti contacted Abdul Enterprises and told the undercover agents he could “deliver Atlantic City” for them. He then acted as a middleman, putting them in touch with the other politicians who eventually became caught up in the scheme. Immediately following his indictment of federal bribery, Errichetti denied the charges and refused to resign either of his elected positions. In 1981 Errichetti was convicted of federal bribery and served three years in prison. Errichetti did not reenter politics upon his release from prison. He died May 16, 2013, in Ventnor City, New Jersey. Neil J. Welch, then head of the New York office of the FBI, and Brooklyn U.S. Attorney Thomas P. Puccio directed the two-year sting operation that became known as Abscam. 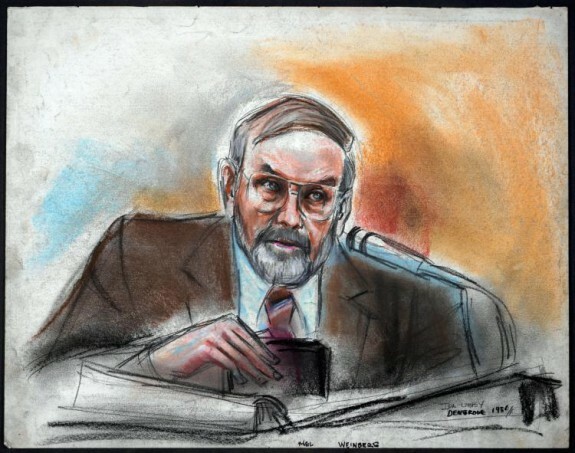 As informers and planners, they used a convicted con man, Melvin Weinberg, shown here in a courtroom sketch from the Abscam trial in 1981, and his girlfriend, Evelyn Knight, both of whom were facing prison sentences for financial fraud. Weinberg created a phony company, Abdul Enterprises, and FBI agents posed as owners or employees of the company. The FBI established a $1 million fund to pay out the bribes. Dressed as Arab sheiks or claiming to represent two Arab owners of Abdul Enterprises, agents met with their targets in New York, Washington, D.C., Philadelphia, and Miami, and offered them envelopes or bags of cash in exchange for promises of political favors. Thomas P. Puccio, shown in the foreground, was the Justice Department prosecutor during the Abscam political corruption probe in the late 1970s. 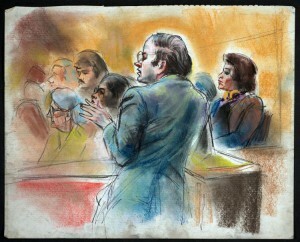 The trial ended with the convictions of seven U.S. lawmakers. 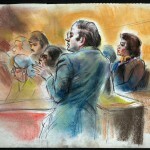 Later in life Puccio became a trial lawyer representing the rich and famous in several high profile cases. One of these cases was the 1985 acquittal of the socialite Claus von Bulow, who previously had been convicted of attempting to murder his wife, heiress Martha “Sunny” von Bulow. Puccio was known for his aggressiveness in the courtroom and was successful as both a public and private attorney. Puccio died March 12, 2012, in New Haven, Connecticut. Launched in March 1978, the FBI sting operation known as Abscam led to the conviction of a U.S. senator, six congressmen, three Philadelphia City Council members, and the mayor of Camden, New Jersey, for taking bribes from undercover agents pretending to be the Arab sheiks. The FBI secretly filmed the transactions in hotel rooms in New York and Philadelphia, a yacht in Miami, and a mansion in Washington, D.C. The operation stunned Congress, led to widespread criticism of the Justice Department for engaging in “entrapment” tactics, and later inspired the 2013 film American Hustle. Neil J. Welch, then head of the New York office of the FBI, and Brooklyn U.S. Attorney Thomas P. Puccio directed the two-year sting operation using a convicted con man, Melvin Weinberg, and his girlfriend, Evelyn Knight, who were facing prison sentences for financial fraud, as informers and planners. Weinberg created a phony company, Abdul Enterprises, and FBI agents posed as owners or employees of the company. The FBI established a $1 million fund to pay out the bribes. Dressed as Arab sheiks or claiming to represent two Arab owners of Abdul Enterprises, agents met with their targets in New York, Washington, D.C., Philadelphia, and Miami, and offered them envelopes or bags of cash in exchange for promises of political favors. All the while, the transactions were being videotaped by hidden cameras. 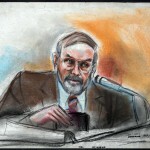 Abscam started out as an operation to recover stolen artwork and fake securities, but when one of the stock forgers suggested to the “sheiks” that they focus on bribing New Jersey state officials to obtain a casino license, the FBI, following the money, shifted its focus to political corruption. Weinberg then spread the word among his criminal associates that the sheiks were looking to break into Atlantic City casino gambling. Camden Mayor Angelo Errichetti, also a New Jersey state senator and a mover and shaker in New Jersey Democratic political circles, contacted Abdul Enterprises and told the undercover agents he could “deliver Atlantic City” for them. He then acted as a middleman, putting them in touch with the other politicians who eventually were caught up in the scheme. When the scheme was first disclosed to the public, law enforcement authorities told reporters that Abscam stood for “Arab scam.” However, after a judge presiding over one of the cases received a complaint from the American-Arab Relations Committee, the judge said it was clear that the code name referred to “Abdul scam,” in reference to the name of the fake company, Abdul Enterprises. No Middle Easterners were ever involved in the sting. 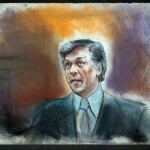 The accused went to trial in 1980. Eight politicians were tried in federal court in Brooklyn, two in Philadelphia, and two in Washington. In the case of U.S. Senator Harrison A. “Pete” Williams (D-N.J.), the highest-ranking political target, the “sheik” offered no money but instead offered to make him a silent partner with an eighteen-percent ownership of a titanium mine. Williams would be able to profit by steering government contracts to the mine in exchange for expediting the immigration process for the sheik and helping him get a piece of the casino construction and licensing action then underway in Atlantic City. Williams, of Westfield, New Jersey, later argued in his defense that he received no money, but he was convicted nevertheless. Three Philadelphia City Council members, Council President George X. Schwartz, Harry P. Jannotti, and Louis C. Johanson, all Democrats, were convicted of accepting a total of $65,000 in bribes during separate meetings in a suite of the Barclay Hotel in Philadelphia. FBI agents, posing as the sheik’s representatives, told them he wanted to invest in a luxury hotel and coal facilities on the Delaware River, and they all promised to use their influence in City Council to get those projects approved. In all, 19 people were convicted as a result of Abscam, including Congressman Murphy’s attorney, Howard Criden; Alexander A. Alexandro Jr., an immigration official; and several businessmen. Among the convicted politicians, Florida Representative Kelly was the only Republican. Two other members of Congress met with the sting operators but were not prosecuted. John Murtha (D-Pa.), who represented the 12th Congressional District in the coal country north of Pittsburgh, was named as an unindicted co-conspirator. The U.S. Department of Justice chose not to indict him, and he testified against Thompson and Murphy. Murtha turned down the $50,000 bribe saying he would eventually take the money after working with the agents for a while but he was not interested “at this point.” He always said that his only intent in meeting with the scammers was to bring jobs to his district. Murtha was re-elected 19 times after Abscam. South Dakota U.S. Senator Larry Pressler, a Republican, met with the undercover agents in a mansion in Washington, D.C., at the behest of a neighbor. When they started talking about contributing to his campaign in exchange for help with the phony immigration matter, Pressler told them “it would not be proper” to accept the offer and left the meeting. Thus he committed no crime. Williams resigned just before the U.S. Senate was scheduled to vote on his expulsion, and five of the six congressmen resigned to avoid expulsion. Myers was expelled by a vote of 376-30, becoming only the fourth member of Congress to suffer that fate. All were convicted of various charges and each was sentenced to three years in prison. Williams and Thompson served two years, Myers served 21 months, Kelly served 13 months, Murphy served 16 months, Jenrette served 13 months and Lederer served 10 months. Errichetti served all of the three years in prison while the Philadelphia City Council members each served several months in jail. Several of the convicted politicians appealed on the basis that they were entrapped–tricked by the FBI into committing a crime they would not ordinarily have committed without the enticement. Philadelphia federal Judge John P. Fullam had set aside the convictions of City Councilmen Schwartz and Jannotti on grounds of entrapment and prosecutorial misconduct but the Third U.S. Circuit Court of Appeals overturned the ruling. Eventually, federal appeals courts either upheld or reinstated all of the convictions, and in 1983 the U.S. Supreme Court declined to review any of the Abscam convictions. In the aftermath of Abscam, Congress was concerned about the damage it had caused to the reputation of the legislative branch and sought to prevent the FBI from undertaking similar projects in the future without strict supervision. In 1981, U.S. Attorney General Benjamin Civiletti issued the first of several guidelines for FBI undercover operations, formalizing agency procedures for such undertakings and Congress held several hearings exploring the issue of entrapment. Greene, Robert W. The Sting Man, New York: Random House Publishing Group, 1982. Hughes, Evan. “How Much of American Hustle Actually Happened?” Slate.com, December 12, 2013. Kessler, Ronald. Inside Congress: The Shocking Scandals, Corruption, and Abuse of Power Behind the Scenes on Capitol Hill, New York: Pocket Books, 1998. Sherman, Ted. “Jersey Hustle: The real-life story of Abscam.” NJ.com , November 25, 2013. U.S. District Court for the Eastern District of Pennsylvania and Third U.S. Circuit Court of Appeals, 601 Market Street, Philadelphia. U.S. District Court for the Eastern District of New York, 225 Cadman Plaza East, Brooklyn, N.Y., and 100 Federal Plaza, Central Islip, N.Y.
Second U.S. 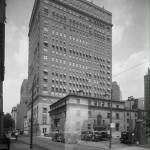 Circuit Court of Appeals, 40 Foley Square, New York, N.Y.; and U.S. Supreme Court, 1 First St., N.E., Washington, D.C.
Barclay Hotel (site of some Abscam meetings), 237 S. Eighteenth Street, Philadelphia.